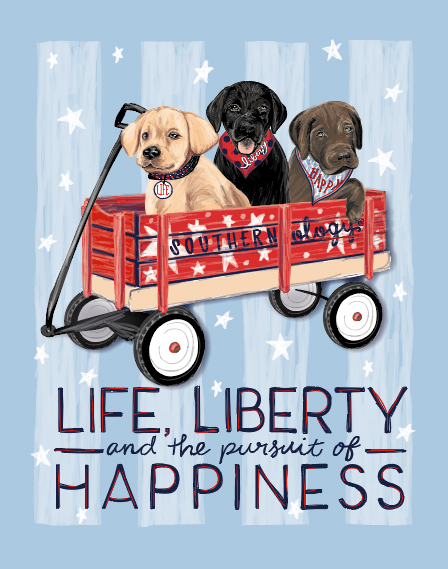 Prep for Memorial Day BBQs and July 4th firework shows with our adorable new Life, Liberty, and Happy design from Southernology®! 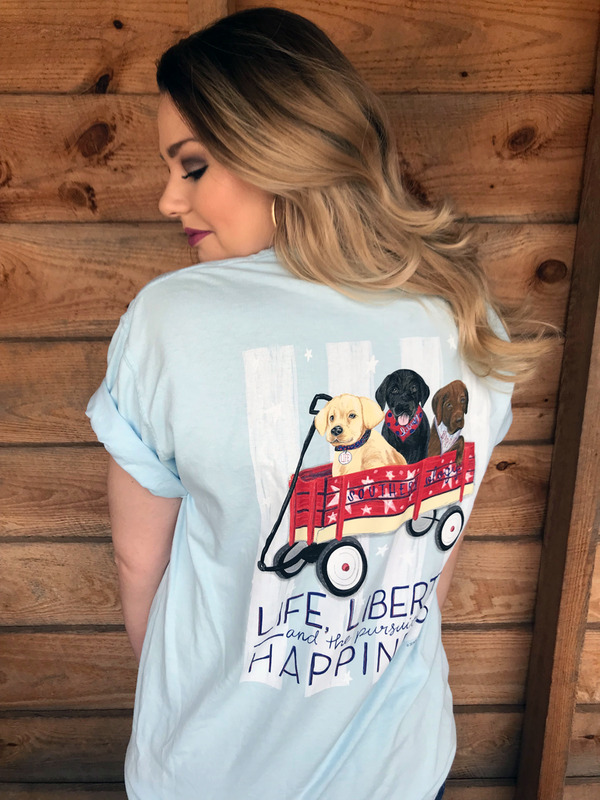 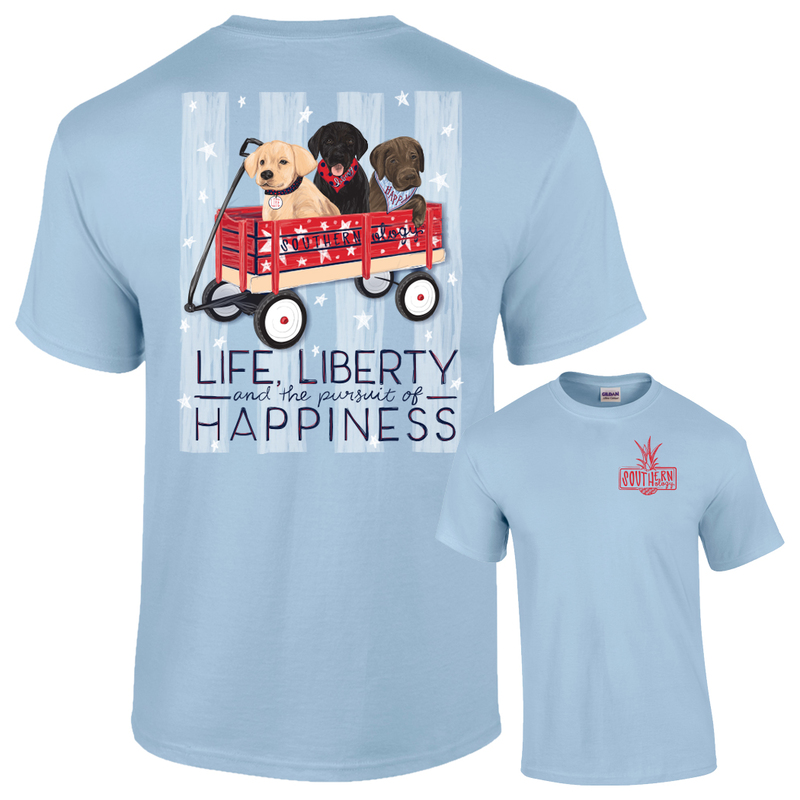 Featuring a classic red wooden wagon and three precious Labrador puppies, this shirt reminds us of our powerful patriotic beginnings, "that all men are created equal, that they are endowed by their Creator with certain unalienable Rights, that among these are Life, Liberty, and the pursuit of Happiness." 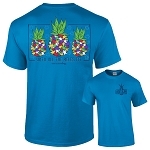 We are proud to offer this exclusive hand-drawn design on a short sleeve Chambray 100% cotton Comfort Colors t-shirt.